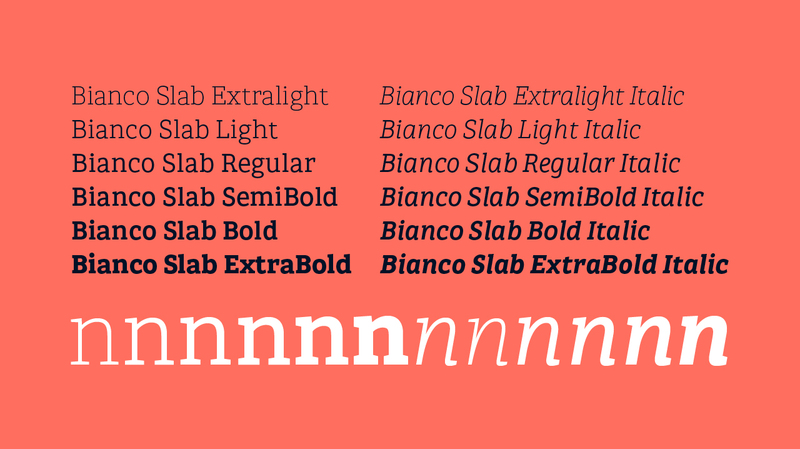 Bianco Slab is a contemporary slab family of 6 weights (with true italics) designed by Rafael Jordán. 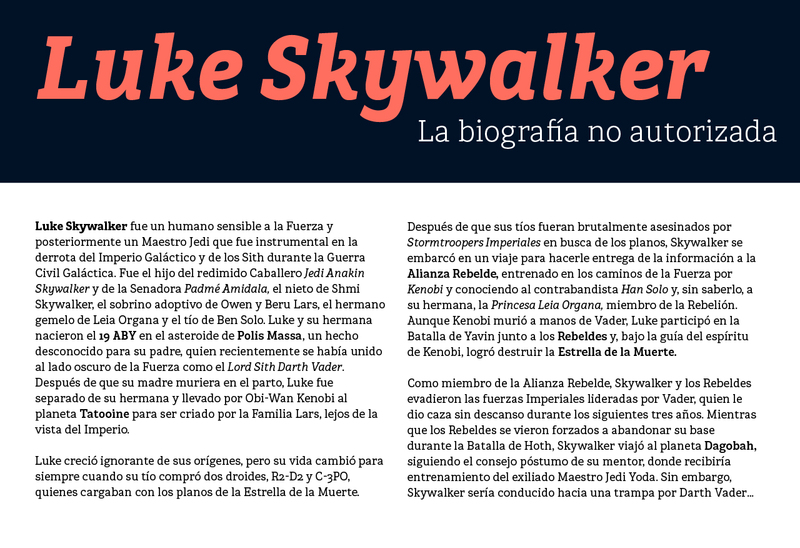 Due to its humanist structure, Bianco Slab has a friendly reading experience, and the wide range of Latin languages covered & OpenType features makes it a very useful and efficient tool for editorial pourposes. But, as a good slab, its strength makes it suitable for headlines. Special thanks to "El pacte de Xàtiva", the family born from Cañas&Tipos, for help me and guide me with this font as well as a lot of things more in my life. Specially to Juanjo López and Pablo Bosch, who put up with me when I need put order in the chaos. I'm nobody without all of you! Copyright ©2017 Rafael Jordán Oliver.All rights reserved.